This year, several members of RunJumpDev participated in the Train Jam. 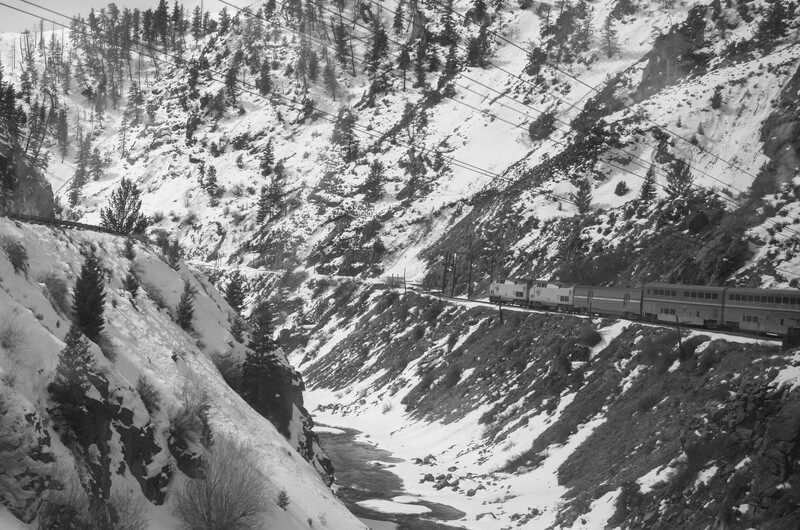 The Train Jam is a game jam that takes place aboard the California Zephyr — a train that runs from Chicago to Emeryville, California. Most of the developers aboard the train are bound to GDC, the game developers conference that takes place in San Francisco. Over the course of the 52 hours that the train makes its way across most of the continental US, jammers make a variety of games based on the theme presented. This years theme was Maximum Capacity. There were six members of RunJumpDev on board the train, as well as several pals from the surrounding area (hello Louisville Makes Games and the folks from Sigma Play). These are the games made by RunJumpDev members at this years Train Jam. This game was made by RunJumpDev members Shylo Shepherd and John Meister (as well as other developers). 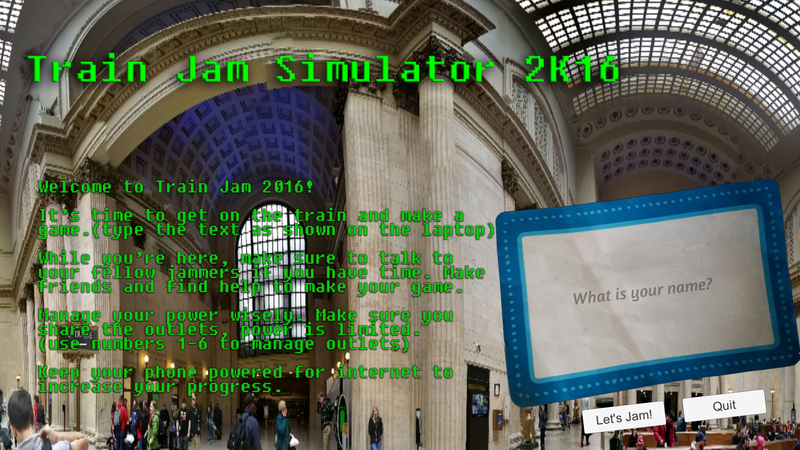 Train Jam Simulator 2K16 is a resource management – typing – dialogue game created for and about Train Jam 2016. You can play the game on itchio here. This game was made by RunJumpDev member mildmojo as well as another developer, Jonah D.
You can play the full game on itchio. This game was made by RunJumpDev members Jeff Wright and Amanda Hudgins, as well as Andrada Tudor and Jeremiah Watts. The night is brisk, the old techno music is thumping, the dads are here. There’s just one problem: there’s only one hot tub and every dad wants in! 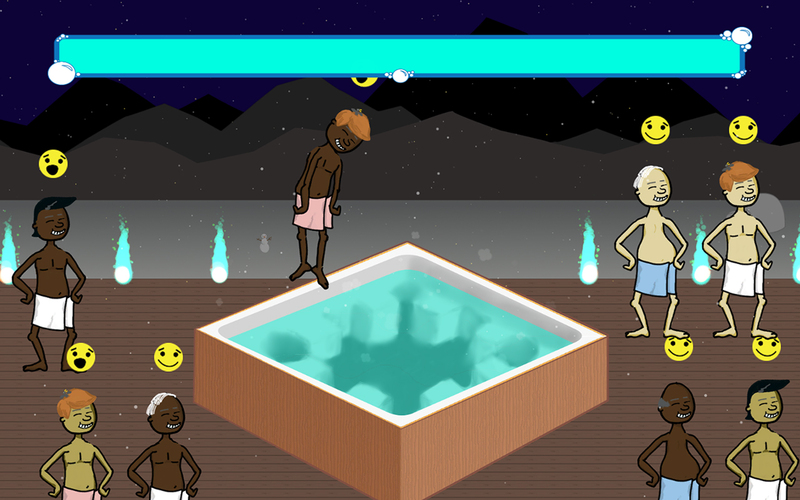 Drag and drop dads into the hot tub to increase their happiness but don’t leave one out for too long or they’ll freeze to death and make the party lame. This game was made by RunJumpDev member Matt Hudgins, also known as OnlySlightly. You’re designing your very own danger signs, fridge magnet style, to attract or detract people from your beach.